The Disney Store Combat Ship is massive. It’s even got lights and sounds! 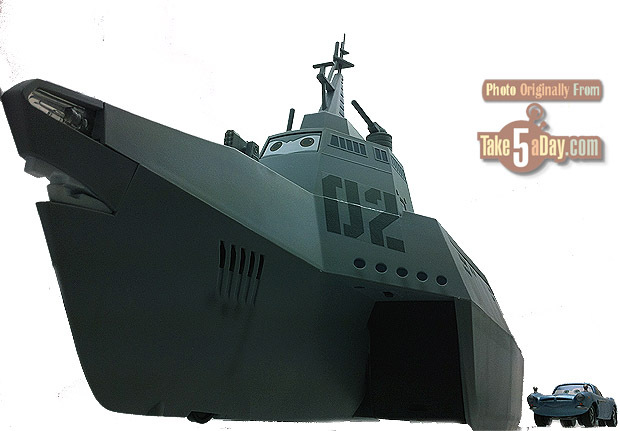 If you look closely, you can see the lights at the tip of the ship and when you press down on the gun turret, there are at three phrases it shouts (I’m not sure the ship has that many more lines in the film). I did not change it from demo mode. The front gun actually pops up & pivots underneath the front deck with a button. And while it’s solidly built, it’s actually not that heavy since it’s also designed as a carrying case. Note that handle is popped up here. It even has wheels underneath so kids can roll it around. Very solid looking carrying case portion with a tray. One of the few trays that can carrying the London Double Decker Bus. 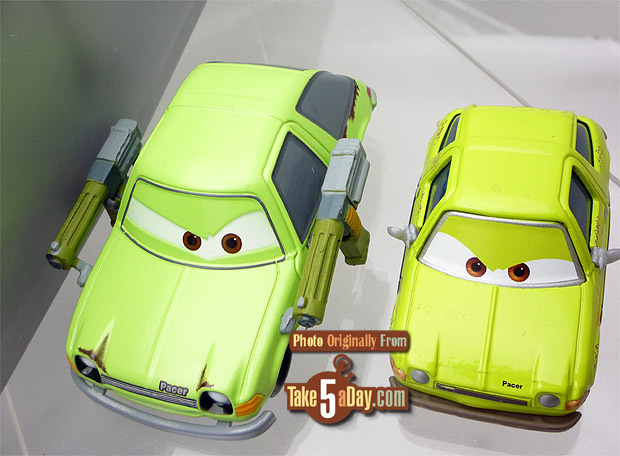 Since there are not a lot of diecast releases of Gremlin & Pacers to begin with, the Disney Store ones are great – excellent executions and sculpts – plus the nearly all metal thing is nice. BTW – according to an old sea hand, a boat is a sea vessel that can carried on a ship but a ship is anything too big to be carried by anything else. Knowledge! Yep, pretty much scaled right. Not perfect but pretty good for 1:55 CARS. And yes, there is a Gremlin coming with the helmet so a pretty nice display also. Yea, it looks big but is it really all that massive? There’s Mattel’s Finn – dreadnought enough for ya? At it’s full price of @$40, it’s not cheap but it’s a huge and solid & detailed display for CARS 2. It even has lights and sounds. 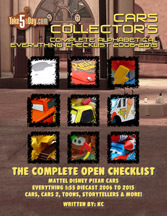 * It also doubles as a carrying case** and comes with 3 Disney Store CARS – I did not bother to check if they were exclusives but they are a nice bonus in any case as they are solid metal diecasts. * Yes, it’s usable as a flashlight but it pretty much only lights up for about 3-seconds. ** If you don’t need to neatly store your CARS, (aka: a thrower) you can probably get about 40 CARS below decks with the tray removed. 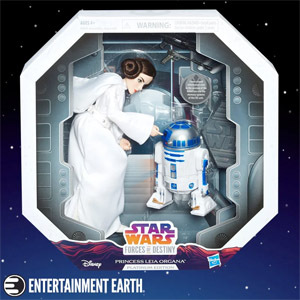 I don’t know if any one posted this, just went to the Disney website -it is sold out. That low-angle shot of the carrier with Finn next to it is pretty cool. I could hear Michael Giacchino’s 3-note cadence during scenes with the lemons when looking at it. John graciously provided a link to my pics without mentioning his great comparison pics in the same thread (which he started). 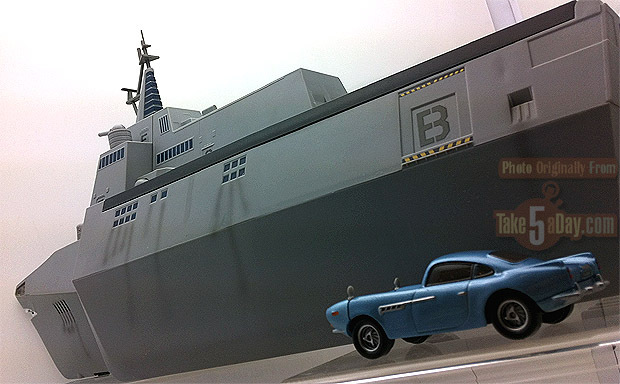 You can see the shelf I put up for this awesome boat, which has to be one of my top three or four favorite Cars toys. I also made little helmets for Squinkies Acer and Grem that are shown there too. I got a second one for my nephew, and it was his favorite Christmas toy, along with the oil rig. We played with them for hours!! Arrgh! I just caved and bought this thing. BobbyJack got the Oil Rig for Christmas and loves it. 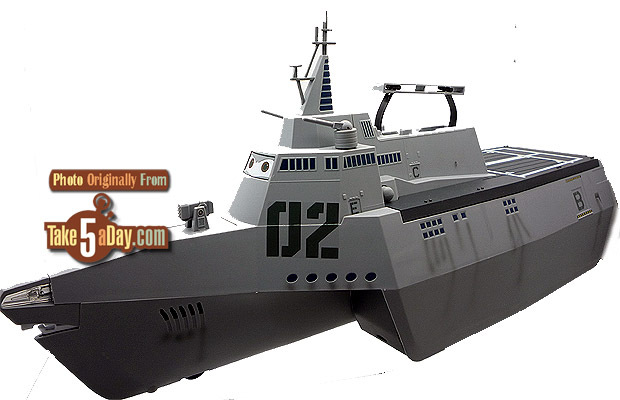 Right now we have the Action Agents Battleship moored next to it and it looks lame. One of the lemons keep saying “get to the boats!”…but no one seems to want to get to that boat. I didn’t get the free shipping but, it wasn’t that bad. With tax and shipping, it still came up under $40. My “local” Disney Store is 80 miles away and my last two visits there have turned up empty on getting this thing. Did get the 5 pack with the Queen and Sgt. Highgear. They go great with the 1:55 cars. On another note, if anyone still wants the Action Agents Battleship, my Walmart has it for $16.74. 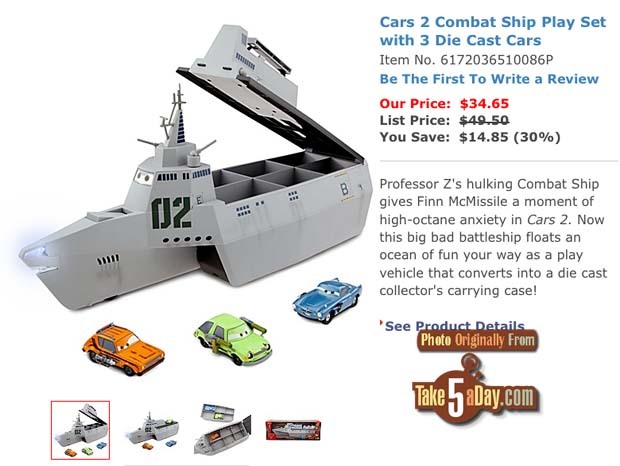 It is still a fun toy and you can use it for the 2nd boat that is in some of the scenes. Goin’ down ! At 11:30 PST Friday, the DS.com price was $29.99 (plus shipping, of course)! 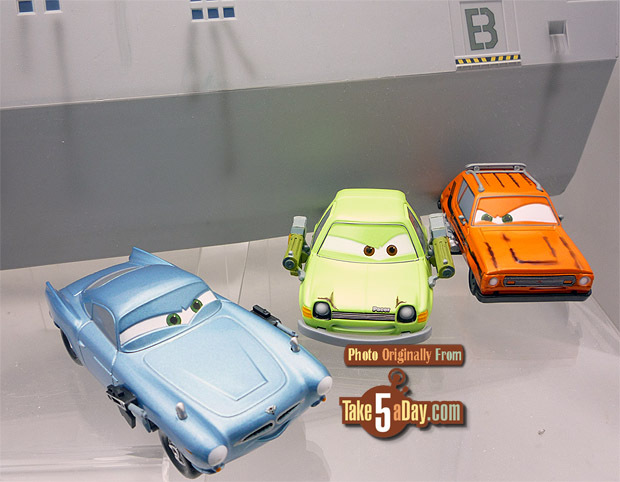 the 3 cars included look like the exact same as the spy battle 6 pack. 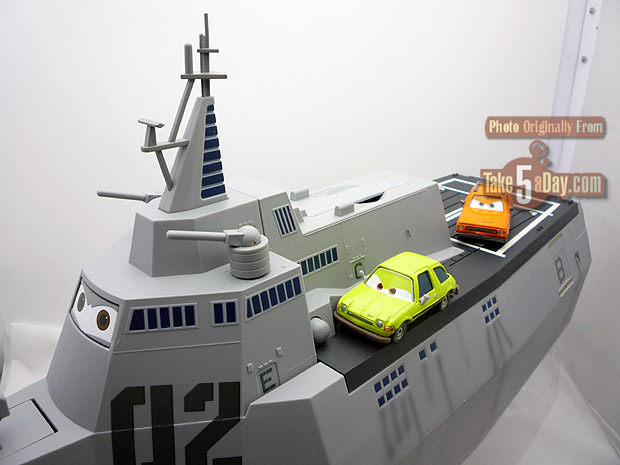 this will even be better ( scale wise ) with the Japanese Tomica line ! $29.99 on line now plus free shipping, try code SHIPNEW. Check the forums for pics of the boat with Squinkies Acer and Grem on the bridge. One Pacer detail that no one seems to have gotten correct is the length of the passenger side door. On the real car it is 4″ longer than the driver side door to facilitate climbing into the back seat. In latter years AMC added a V8 option with a distinct hood bulge and a wagon version; maybe in Cars 3. (MET: Of course, in CARS World, who’s climbing in with your ‘brain?’ :-p ). This is my son’s favorite piece so far of the CARS 2 stuff. Don’t know how many times we’re played the scene where the guards boats chase Finn. 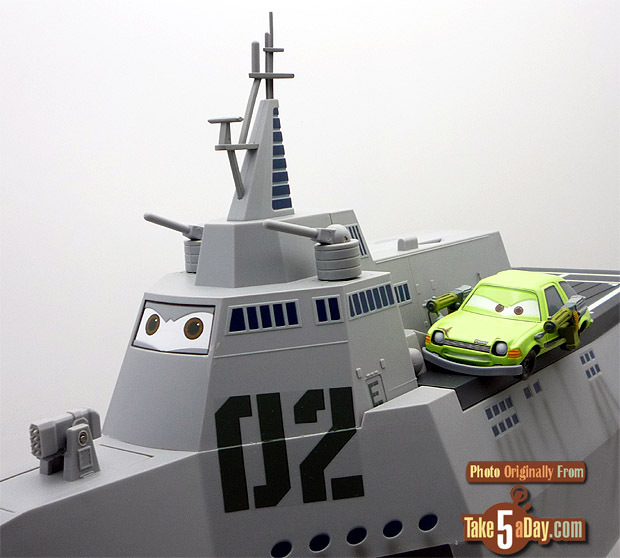 Naturally, he uses the Disney Store boat and I’m stuck with the Action Agents boat! Can’t wait to get the Grem with helmet.